A series of cold fronts are forecast to roll into California through the end of the month with moderate winds and rain and cooler temperatures. 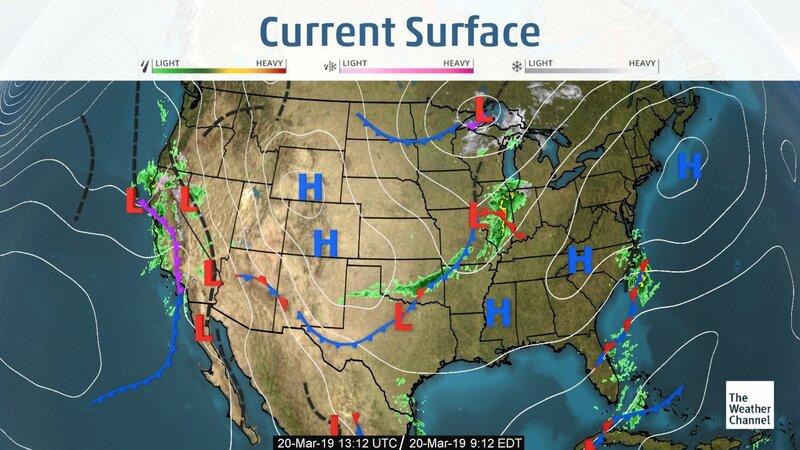 These systems will bring a slight chance of rain along with strong gusty winds (25-40mph) and cooler temperatures to the Southwestern Desert regions as they pass to the north. Seasonably warm temperatures look to continue across Mexico through March with passing storm system remaining well to the north. High pressure brings dry conditions to Florida through the weekend in front of another low-pressure system expected to bring rain and strong winds to much of the state early next week. California and Yuma trucks remain plentiful again this week. Washington apple trucks are ample as well. Idaho potato and onion trucks remain steady. The national average on diesel didn't change this week and is currently at 3.070 per gallon. 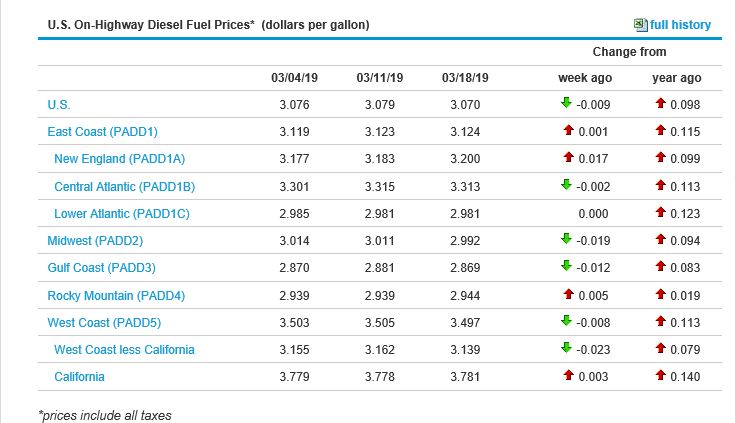 California prices remained steady this week and are now at 3.781 per gallon. Crude oil prices went up slightly and are currently at 59.34 per barrel. Apples: Food service sizes (125ct, 138ct) are getting harder to come by. Start thinking about sub sizes on mixer-load orders. Celery: Supplies remain limited and markets are higher. 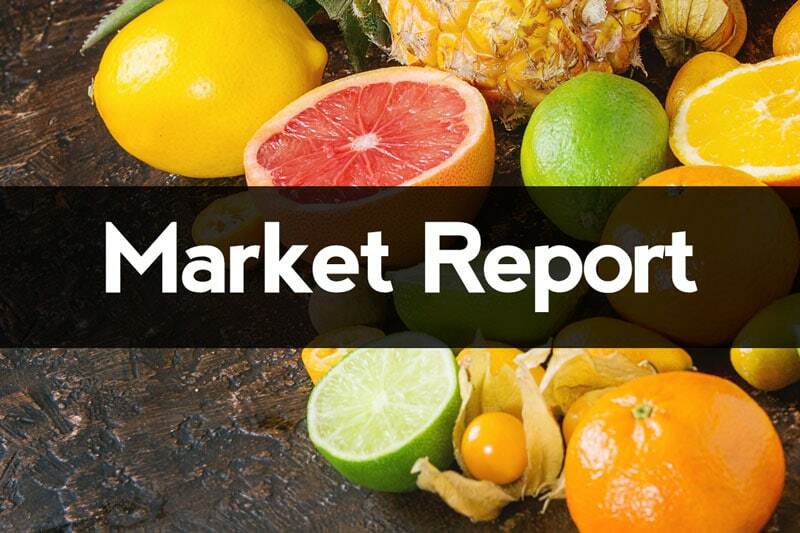 Citrus (Limes): Less inbounds coming from Mexico and rain in the growing regions with high demand has driven the market prices up. Grapes (Green): Supplies of green grapes will lighten up starting in the next 2 weeks and will be a challenge for the remainder of the import season. Onions: Markets remain active; especially red and white onions. Grapes (Green): Mexico and Coachella are expected to start early to mid May. Grapes (Red): Mexico and Coachella harvest is expected to start early to mid May. Berries (Strawberries): Mexico and Florida will continue in a light way through the end of this month . Oxnard, and Santa Maria are set to reach good production by the end of next week weather permitting. Salinas ands Watsonville are looking to start production in a light way in 2 weeks first week of April . Lettuce Iceberg: Huron is expected to start late March. Grapes (Green): We are past peak production and supplies will drop off quickly. Stone Fruit: We are moving past peak production and will see supplies slowly taper off as we approach mid to late April.